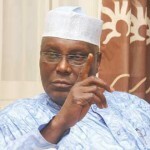 Atiku Abubakar can conveniently be regarded as the proverbial cat with nine lives because the story of his life offers a lot of lessons; starting from a humble background to becoming the Vice President of the Federal Republic of Nigeria. 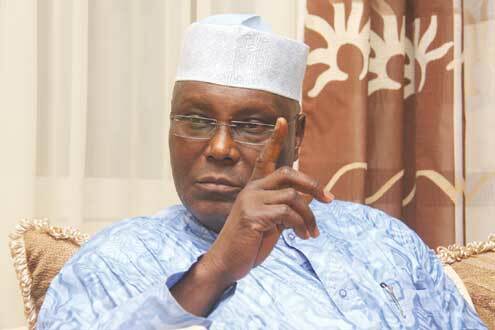 Atiku was the only child of his parents; he neither had a brother nor sister. His father died when he was still in primary school, after he was imprisoned for not allowing his son to go back to school after he visited them. 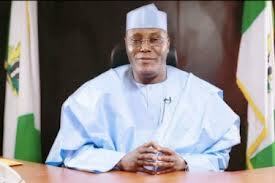 Atiku began feeding his mother since he was a primary school pupil out of his proceeds from cattle rearing. That was how he started his life. He joined the Customs service, was made the Turaki of Adamawa, and was also elected the Governor of Adamawa state. 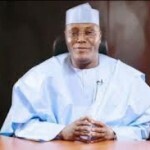 He could not however assume the mantle of leadership as governor because he was eventually chosen to be the running mate to Olusegun Obasanjo in the 1999 election. He later had a serious political fight with Obasanjo, ran for the office of the president twice and is also a prolific businessman. In this interview held in his Abuja home with a team of journalists from RARIYA, a Hausa newspaper based in Abuja, Turaki, as he is fondly called, revealed a lot about himself, including his widely publicised ‘feud’ with Obasanjo and the situation of things in the ‘new PDP’. Excerpts of the interview was translated by PREMIUM TIMES‘ Sani Tukur, with permission from RARIYA. Q. Can you give us a brief history of your life? A. Let me first begin by welcoming you all. And secondly, since this is the first time we are sitting together, let me use this opportunity to commend you for setting upRARIYA Hausa newspaper which will enable a lot of our people especially in the north to know what is going on in the land and our relationships with the outside world. We commend you very well, and pray that God grant you success. I know about media business very well, it is not a business in which you even make even, not to talk of making profits. So, only God can reward those of you that have decided to put in your time and resources in this venture. May God reward you abundantly. My history is well known by most people, but briefly speaking; I am from Adamawa state. I was born in Jada about sixty-six years ago. I started my primary education in Jada before I proceeded to Yola Province College. From there, I went to the School for Hygiene Kano and then finally to the Ahmadu Bello university Zaria, where I studied law. I then joined the Customs in 1969. I held several positions in the Customs. In fact, at a point I was the youngest Customs Comptroller for the Southwest including Ibadan and Kwara. 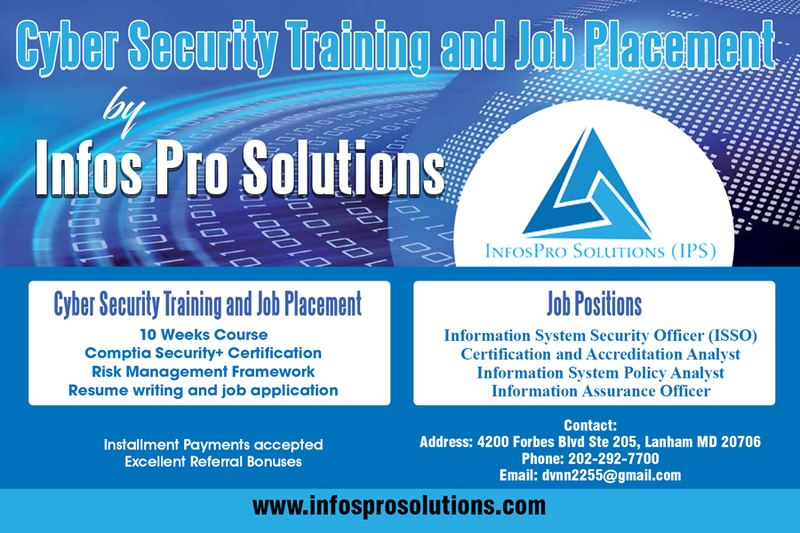 I gained lot of promotions within a short space of time until I attained the highest rank. I left the customs service on 20th April, 1989. From there I ventured into business where I later on met with General Shehu Musa Yar’adua, and we went into politics and set up a political organisation known as the PFM with a view to getting registration as a political party. But as you all know, no political party or organisation was registered at the time. Instead, two parties; namely; SDP and NRC were registered. Those of us with General Yar’Adua joined the SDP. We struggled very well in the party where I had wanted to become the governor of Gongola state then. I won the election, but the government of Babangida cancelled the elections. Nine of us were eventually banned from participating in the subsequent election. We did not stop politicking up till the time Babangida left power. Our first major political battle with the late Gen. Yar’adua was fighting the military to leave power and restore democracy to Nigeria. That was the reason we were in politics. We did not get into politics to get into positions of power. Honestly, we really suffered in the course of the struggles. Late Yar’Adua once called us together and informed us that ‘what you people are doing is not a minor thing; it may take us up to ten, thirty or forty years without success. So any of us that was in hurry was advised to stay aside. Incidentally, we succeeded in sending the military away, but God did not allow him to see democracy take root in the land. After that came the government of General Abacha. He invited our organisation to join his government, I remember we met with them at Ikoyi in Lagos at the time; we told them we would only join the government if they showed us the plans put in place to return the country to democratic rule. They did not like it. Q. Was General Shehu Yar’Adua alive then? A. Yes, he was alive. That was why no one from our organisation joined the government. He subsequently said there would be a constitutional conference for Nigeria. We also met over that and debated whether to join or stay away. We eventually resolved to participate, because we can use that to force him out of power. About 70% of members of the conference which held here in Abuja, were our people. The conference thereafter gave Abacha up to January 1st 1996, to leave office. He was so angry with that decision and that was the reason why Yar’adua was arrested and jailed. As for me, they followed me to my house in Kaduna and tried to kill me, but they were unsuccessful. They however killed eight people, six of them policemen, while the other two were security guards. I eventually escaped to the USA. I don’t know what happened afterwards, and Abacha suddenly asked me to come back to Nigeria. He was planning to run for election at the time. But I asked him to give me the guarantee that I would not be killed or arrested. When I returned, I went to see him and he asked me to work for him because he said he understood I had acceptance in both the North and Southern part of the country. He therefore wanted me to help him campaign to win election. I told him that I needed to go back to my state and consult with my people. He then asked me what I wanted; minister or governor; but I insisted that I needed to go and consult with my supporters. He told me that he had already discussed with my father-in-law, the Lamido Adamawa, and the Lamido really wanted me to go back and be the governor. But, I told him that there was no way for me to go and become the governor because primaries had already been held and they have even started campaigning. They told me not to worry about that; all they needed was for me to go back to my state. Upon my return, I saw that all the party’s executive were sacked, that’s for UNCP, the governorship candidate was also sacked, and an interim chairman of the party was already appointed. I met him at the airport waiting for me, and I told him ‘Yes I am the candidate’. I then immediately went into consultations; my supporters said ‘this government attempted to kill you in the past, and it is the same government that is now inviting you to run for office, we your supporters have agreed’. As God would have it, Abacha died the very day we started our campaigns. Abdulsalami became the head of state and when he announced the time table for return to democratic rule; we set up the Peoples Democratic Party, PDP. I was one of the few people from my state who set up the party. I again ran for governor and won the primaries, and then the general election followed. 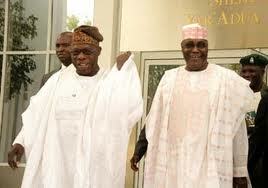 Later on, General Obasanjo asked me to come and run with his as his running mate. That was how I became the Vice president and worked with Obasanjo up to the time God said we should go our separate ways. Q. What is going on now? A. You know the PDP is not being run on its initial philosophy. There is no internal democracy in the party at the moment. 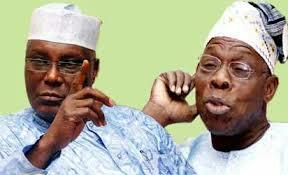 Secondly, since the time of Obasanjo, the party has been used dictatorially; no rules, no truth, no righteousness. What we have now is just selfishness. That is the situation we are in now. Q. Many people view you as someone born with a silver spoon, or did you also face challenges growing up in the village? A. The truth is, I was an only child. I had no sibling. My father died even before I completed primary school, and I was raised by my mother; and you know women were not engaged in any serious commercial venture at the time. I was therefore responsible for fending for her, at a very young age..
A. I was around 9 or 10 years then. We had a very wealthy neighbour. At times, I take his cattle for grazing when I return from school. He then used to pay me with either wheat or something and that was what I would take to my mother and grand mother for them to cook for us. We sometimes eat twice or once a day. This started even before I enrolled into school. At the time, they used to go round and pick children and enroll them by force. When they came for me, my father took me and ran away with me up to Cameroun republic. They hid me in a particular village, but we also met the same situation there; children were being forced to school by the government. So he took me back to my grandmother. I was concealed behind a door the day the people came back for me, but my mother’s younger brother brought me out, and took me to the residence of the village head where I was registered. That was how I got enrolled into formal education. After I started schooling and I was even in class three, I decided to visit my father and see how he was doing. However, immediately I arrived, he told me that I was not going back because he never wanted me to enroll. He said he preferred that I commence Quoranic school and there was cattle rearing and farming to do. Our headmaster in Jada then reported my father to the Judge. A police guard was then given a summons for my father. They used to come along with a particular stick, which was serving as the writ of summons at the time. He took it to the ward head that also promptly summoned my father. My father was informed that we were being arrested. The guard took us to Jada; we were taken to the court, and the judge told my father you have broken the law by refusing to allow your son go back to school. He therefore sentenced him to either go to prison or pay a fine of ten shillings. My father said he had no ten shillings, and he was taken to prison. My grandmother eventually hustled and got the ten shillings and paid the fine. My father was eventually released and he went back to the village. Unfortunately, I did not get to see him again until I received the sad news of his death. That was how I continued with my studies and completed primary school. At the time, there was only one examination, that’s common entrance exams that was written; those who came first, second or third are taken to either Zaria or Keffi colleges. The rest up to 10th position went to Provincial College. The others are then taken to various vocational schools. 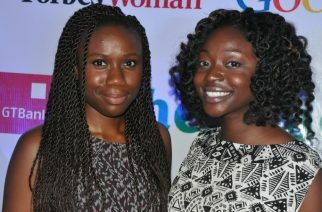 After graduating, they were then given a start up capital. Honestly, I prefer this method of education, not what we have now. Q. You have set up a form of reunion with your children, why did you adopt this measure? A. Honestly, there were many reasons why I started the reunion. It is not popular in this part of the world. God has blessed me with wealth and many children; more than twenty, including those I adopted. And as you know, as Islam permits, I have more than one wife, so my children have different mothers. So the essence of the reunion is to entrench unity in the family. Secondly, it affords them to know and understand each other, and thirdly to pity each other. Fourthly not to tarnish the image of the descendants of the family, and fifthly, I am engaged in a lot of commercial activities. So I take the time to explain the details of my business engagements to them. And I always advised them not to look at what I have, but each of them should go and fend for himself. I also advise them to pay attention to their studies. I have companies in countries such as Turkey and many others, so I don’t want these companies to fold up after I am dead. I wanted these companies to continue to exist, until their children also take over from them. I also tell them to know that most global companies were started by one person, but those who came after them such as their wives and children did not allow them to die. That is why things are still developing. In fact, I even brought in a professor from Europe who specialised in family matters to come in and deliver lecture for us. I also let them know that I am a Muslim, so after my death, they will have to share inheritance based on Islamic injunction. However, I advised them that everyone must allow whatever they are given in a company to continue to exist. They should just get whatever is due to them at the end of each year. I don’t want what I build to be destroyed. That is the reason for our meeting, and it is very important. Now we have a family assembly and rules and regulations for my whole family. We set up the Assembly by picking one male and one female from each ‘room’. Q. In spite of the fact that the Lamido Adamawa was just your father-in-law; you appeared to be much closer. Since when did he start treating you like his own son? A. Our relationship started a long time ago, I think around 1980. But you know I was made Turaki of Adamawa in 1982, and my marriage to his daughter also took place on the same day. Q. Adamawa state has a lot of educated people; but God has elevated you from that state, how did you survive the struggles in the state? A. Honestly, these struggles are not good; because many felt why should it be me, who is far younger than them that will overtake them and be elevated. You know relationships among the Fulani is difficult. Honestly, they struggle against almost every prominent person in the state. As for me I never harbour any ill feeling towards anyone; I believe that is why God protected me and gave me victory; that is why up to now, no one has succeeded against me. Q. You are indeed successful in politics and commerce; how did you venture into business? A. When I joined the Customs Service, I spent most of my time in the South, and if you look critically, you will realise that Customs work is just like business. The European that thought us the job did not teach us how to arrest people; they told us that the duty of the Customs is promote economic development of the country. So if one is found to illegally import materials into the country; you are to be fined either once or twice or even three times, but not to confiscate the goods. That was why I was getting a lot of revenue for the government wherever I worked. I never regard Customs work as that of confiscating people’s goods or mistreating them. You know whoever pays a heavy fine would not want to import goods illegally again. That was actually how I cut my teeth in business. Q. you have set up many companies. Which of them do you like the most and is also benefitting you most? A There is a company called Intels; which we set up with a European partner of mine when we realised that oil and gas business is the main economic activity in Nigeria for a long time. We actually started the company from a container, but it is over 25 years old now. We just celebrated our Silver jubilee anniversary. It has expanded very well. We now have branches in Angola and Mozambique, and we will soon get into South Africa. We are also going to build the biggest port in Nigeria, Badagry, Lagos state, very soon. Q. You are the first northerner to set up a university, can you briefly tell us some of the challenges you are facing? A. Well as you know, education is the most important thing in the life of any individual. I attended the meeting of former students of Unity Colleges two days ago, and I told them education is the most important sector in our life today. Whoever thinks that he has arrived simply because he has oil or gold and other mineral resources, should realize those resources will finish one day. In fact, even farming, if we are not careful, in twenty or thirty years, one can look for a land to farm and would not get. Nothing will get us out of poverty and the rest other than education. I even gave example of many countries that have no farmlands, no oil, and no any form of natural resources, yet they are ahead in terms of development. Look at Japan, look at Singapore; they just concentrated on education. Imagine if my father had succeeded in stopping me from going to school, I would still have been engaged in cattle rearing or still at the village; but look at what education has done for me. Q. Like how many people are working in your companies? A. Actually they are many, because even between Port Harcourt, Warri and Lagos, we have over fifty thousand employees. Not to talk of those in Faro, University and Gotel Communications. In fact we are the only producers of recharge cards in the north. Very soon, we are going to commission a company that will produce animal feeds, the first in the north. We will build three in different parts of the north. Q. Considering the number of companies you own, how comes your name was never mention in the list of richest Africans? A. It is because I am not among the richest people in Africa and my companies are not quoted on the stock exchange, like the way Aliko did. That is why not many people know what I have. Q. Can you tell us the estimate of how much you spend to run the University each month? A. It is not, may be after until after ten or fifteen years, then one can sit down and cross check. Yet, people are still criticizing us saying the tuition fee is high. But if you look at the students there and the vehicles their parents bought for them; you realise that it is ten times higher than the tuition fee. Q. Why do you allow them to buy the cars for them? A. What can we do to them? It’s a university, most of them are grown ups; between 18 to 20 years. His father bought a car for him and we say he cannot drive? You know it is an American School, and they have their own ways of doing things. Q. You have earlier explained that you got into politics not necessarily to get into positions of authority, and you said late Shehu Yar’adua drafted you into politics, or did you already have plans to be a politician? A. I think both because, when I was at ABU, I was into student politics. I stood for election and even won. I started work and he saw how I was relating with the people and the rest; that was why he called me one day and said ‘I see that you relate well with people, can we do politics together’? Q. What did you run for at ABU? A. Deputy Secretary General. Late Dahiru Mohammed Deba, the former governor of Bauchi state was the secretary general, and I was his vice. Q. 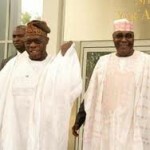 We would like to know how former President Obasanjo asked you to be his running mate, seeing that there were many prominent persons angling for the slot. A. After the primary in Jos, and I was preparing to go back to Adamawa and run for governor, I was told that he wanted to see me in Abuja. So instead of going back to Yola, I went back to Abuja, and on reaching Abuja, he told me he wanted me to be his running mate, and asked if I was willing to? I thought over it and said ‘I am willing’. He then said we should go back to Jos, and inform Solomon Lar. But I said we should go with some other persons, otherwise Solomon Lar would think that I asked to be nominated. At the time, he wanted late Abubakar Rimi to be the running mate. 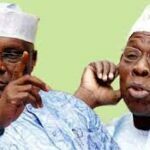 At the same time, Mallam Adamu Ciroma, Ango Abdullahi and Bamanga Tukur and Professor Jibril Aminu, all wanted to be the running mate. Obasanjo then asked some people to follow me to Jos to inform Solomon Lar, and that was what we did. Q. You said, you thought a little over it, why did you chose to be VP instead of governor? A. I was convinced because he showed me that he was not a politician and I was a politician and he needed my help. That was what convinced me. Even now people keep telling me you have done this and that, what did you regret being unable to do, and my response is always that I regret not being the governor of Adamawa state. Q. Have you ever regretted being Vice President? Q. In other climes, one can become a Vice president and still go back and be a governor. What were those things you had wanted to achieve in Adamawa that has not been achieved up to now? A. Honestly, if I had served as a governor in Adamawa, I would have used it as a model for development. Many states would have come to us and learn how to achieve what we have done. Even as a private citizen my investments in the state is drawing people from South Africa, Cameroun and Rwanda, their students are in Adamawa. Q. But it can be argued that you were like a governor since Boni was the governor? A. You know the Fulani tradition when it comes to governance is such that when you get your son into position of authority, you are not expected to interfere in his affairs. If he looked for you, you can come, but if he doesn’t; you just have to keep your distance. Boni has never aksed me to nominate even a Commissioner; He is alive; and I have never opened my mouth to ask him to give me a commissioner slot. In fact there was a time my party wrote a letter to him and copied me, in which they were requesting for a slot for a sole administrator for my local government. I called him and told him that my party had written to him and copied me requesting for a nomination for my local government; and he reacted angrily asking what my business was with local government that I would even talk to him. I begged for his forgiveness. So in terms of governance, one cannot be confident of getting his way simply because he had helped a person to office. Q. And your younger brother became the President, that’s Umaru Yar’adua, was it also like that with him? A. It was like that. After he was confirmed as the presidential candidate, he came to my house and saw me. I was the vice president, and he told me that now that I have been nominated, I need your help sir. I told him that we came from the same house, but in terms of running for office of the president, we can all run, whoever is successful among us, glory be to Allah. But I told him to know that if not because I fought Obasanjo’s third term ambition, he (Umaru) would not have been a presidential candidate. He acknowledged that, and I said best of luck to us all. Q. But did he seek for your advice when he became the president? A. God bless his soul, but when he became the president, I even tried to rejoin the PDP, but I was denied on the assumption that I would clash with him. He was advised to only allow me return if he wins reelection. Q. You spoke about your disagreement with former President Obasanjo, but at the end of the day, you agreed to support his second term bid, and there were reports he knelt down and begged you. Did he really bend down to beg you or just spoke the words? A, Honestly, he did not kneel down for me. But he did come to my house and I refused to see him. And he knocked my door continuously and asked me in the name of God to come out, so I came out, and we went downstairs, and he asked me to join him in his car and I said, no, because of security reasons, but he insisted. So when we entered his car, I never knew that he had gone round states pavilions and asking for the support of governors and delegates and they refused to listen to him because they have not seen us together. So that was why he came and picked me up so that we would go round together. There is something that many people did not know before, which I will tell you now. We sat with party elders and discussed the issue of Presidency and there was debate as to whether the South will have 8 or 4 years? If the South had 8 years, so the north too should have 8 years subsequently. After lots of debates, it was finally agreed that the South should have 8 years. And when power returns to the north, they should also have it for 8 years. 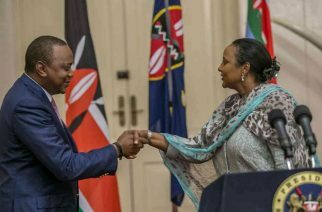 However, governors objected to this arrangement. I was then in a dilemma; is the governors’ objection genuine or just a political gimmick. What if I followed them to run against the president and they later on turn their back on me and align with the president? At the end of the day, one would neither be a vice president or a president because politics is a slippery game. Q. During your second term in office, a top government official at the presidency reportedly ‘lock you and president Obasanjo’ in a room and asked you to settle your differences before you come out? Is it true? What did you discuss in the room? A. At first we started arguing, and then he opened his drawer and brought out a copy of the Quran and asked me to swear that I will not be disloyal to him. There was nothing I did not tell him in that room. The first thing I told him was that I swore with the Quran to defend the Constitution of Nigeria. Why are you now giving me the Quran to swear for you again? What if I swear for you and you went against the constitution? Secondly, I looked at him and told him that if I don’t like you or don’t support you, would I have called 19 northern governors to meet for three days in my House in Kaduna only for us to turn our back on you? Thirdly, I asked him, what are you even doing with the Quran? Are you a Muslim that you would even administer an oath on me with the Quran? I was angry, and I really blasted him. He asked me to forgive him and he returned the Quran back to the drawer, and we came out. 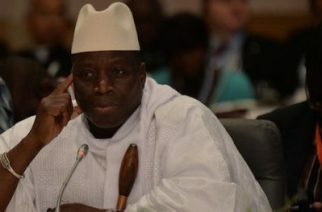 In fact we had the same kind of altercation when he was gunning for third term, he informed me that “ I left power twenty years ago, I left Mubarak in office, I left Mugabe in office, I left Eyadema in office, I left Umar Bongo, and even Paul Biya and I came back and they are still in power; and I just did 8 years and you are asking me to go; why?” And I responded to him by telling him that Nigeria is not Libya, not Egypt, not Cameroun, and not Togo; I said you must leave; even if it means both of us lose out, but you cannot stay. Q. You were the most powerful Vice president compared to others who held the office in the past, what was responsible for that? A. He allowed me, and he understood some things because he was not a politician, and he needed the support of politicians. Q. Are you relating seriously with General Buhari, do you call him on phone? A. We speak a lot, and whenever the need arises for me to go and see him, I do go and see him. I do go to pay condolences and the like. A. If you have not forgotten, during the 2011 election, after they said me and General Babangida have lost out, myself, Mallam Adamu Ciroma and General Aliyu Gusau, under the leadership of General Babangida, held a special meeting in which we invited General Buhari, Mallam Ibrahim Shekarau and Nuhu Ribadu and advised them to form an alliance so that we would help them win election, but they failed to form the alliance, and after they failed, I sent my contribution to General Buhari. So I don’t have any problem with General Buhari at all. Q. Something happened recently, which confused a lot of people, in which you led a withdrawal of a number of governors from the venue of the PDP convention, which was live on TV. Was it pre planned? Or it was just arranged at the convention venue? A. We have been planning for some time because we have spent almost four months planning how to split the PDP. Q. Who is the arrowhead? A. At first I don’t know the arrowhead, but they eventually came and met me and I joined them because their reasons are the same with the ones I have been fighting against within the party; lack of fairness, honesty and tyranny. If I can fight the military to restore democracy, why can’t I fight fellow politicians? Q. But the president did not come out to say he will run. A. He did since he said he has the right to run. What else is remaining? Q. On the other hand, Buhari also has supporters just like you do; and he has not come out to say whether he is running or not. Are you planning to run in 2015? A. Why are you in hurry, don’t worry, now is not yet the time for you to know. Q. What measures are you planning next, since the courts have declared your faction illegal? A. I don’t know what the plans of the PDM are because I am not a member.